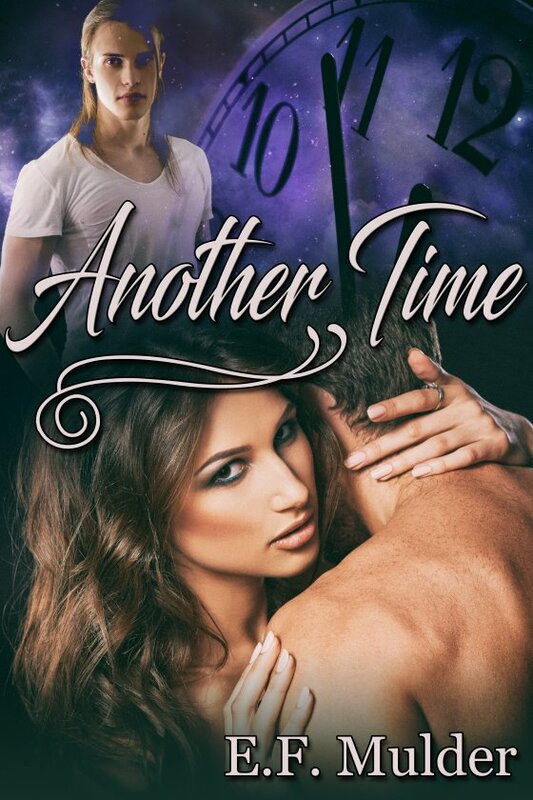 Today’s guest is E.F. Mulder, whose MMF time travel romance Another Time was just released by JMS Books! Cher sang about the subject. Remember “If I Could Turn Back Time”? I wonder how many of us would if we could. Would you change a moment? Maybe spend another day with someone you’ve lost? Perhaps undo a wrong or a bad word? What if altering one thing would transform your entire present, what then? I can’t imagine there are many people out there who wouldn’t like at least one do-over. Heck, I might edit this story some more. I always think of things I wanted to say or things the characters could have done after a book is published. On another note — a romantic one — there is someone out there I might like a fresh start with, if I could find a way. Hopping decades was a lot of fun. Writing a little bit about how things have changed so much in Jacob’s lifetime, and even my own, was a kick. Ah, poor Jacob. It was important from the very beginning to make it known how torn he is between the two people he loves. His journey of ego, love, fear, and faith gave me a lot of psychological issues to explore. That is what I really love to do when I write, get in someone’s head and figure out what makes them do what they do. I hope you enjoy Another Time. E.F. and her writing partner, David Connor, have always been soap opera fans. Living in a small New York town, they both turned their love of the genre into books and short stories with romantic, soap opera-ish themes. Nothing beats a cliffhanger, a twist, a good mystery, and maybe an evil twin. Find E.F. and David online at the links below!